Don’t really have anything concrete to write about, but felt I should touch base with y’all. Summer feels like it has arrived in Colorado. Elijah will complete preschool in two weeks. He is eager to start kindergarten, as much as Miles is eager to start preschool. It’s no wonder they don’t just live for today, their mother is constantly looking ahead! We were lucky enough to check out the Children’s Museum last week (write up on Mile High Mamas). They have a new exhibit on bubbles, and with free passes I got on Twitter, we can go back a few times this summer and play again. The boys got a new sandbox in the backyard, which has been a huge blessing to me (and them too). It allows me to find some quiet time, and it allows them to get creative. 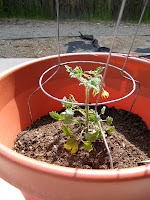 I have started my gardening projects for the summer, another tomato plant and some green beans. Now you are up to date. Hoping to sneak in a quick camping trip before the bigger one with the inlaws at the end of June. Now get outside and don’t forget the sunscreen! Rather than take the summer off, my bible study opted to do a book club by our favorite bible study teacher Beth Moore. 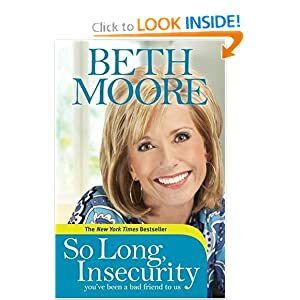 The book is called So Long Insecurity, You’ve Been A Bad Friend To Us. I’m sure you can figure out what it is about. For a group of women to get together and hopefully find some healing would be a powerful thing. Of course I have insecurities. Heck, my insecurities have insecurities. The thought of facing these things head on scares me. I hate to allow myself to feel vulnerable (another insecurity? 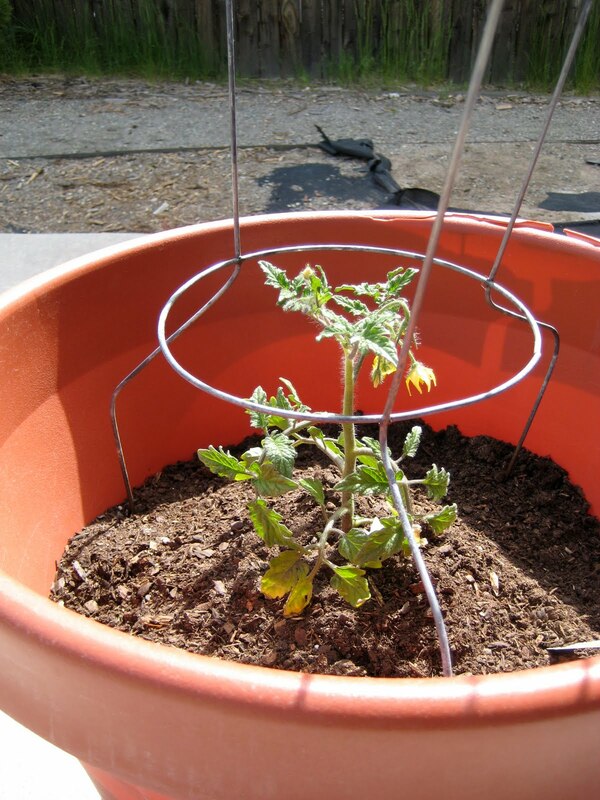 ), but I hope by summer’s end that I will have made some progress. I don’t want to live this way, I can’t imagine anyone does. I will let you know how it goes, and whether the book is worth your time. I wouldn’t steer you wrong. 🙂 But keep me, and the other ladies in your prayers. Ok, I’m almost embarrassed to write this, but my shower is a scummy place. I put off cleaning it for longer than I will admit publicly. And then I worried I would never be able to clean it. Walking through Target, I decided I better get some rubber gloves to tackle it with some heavy duty cleaner. Then I saw something that caught my attention: Soap Scum Eraser. “Huh”, I amuse to myself. Would it really work? Well, it’s from a reputable company (3M/Scotch-Brite). I grabbed the rubber gloves too, as a back up in case this product did not work. b) it did not require much muscle power. Seriously. A task I was dreading, took less then 10 minutes to clean. And now when I touch the shower walls, I feel smooth tile, not built up scum. * I’d like to add I did not receive anything for writing this glowing review of this product. I paid for it myself, and it was worth every penny!